One of the remaining wonders of our technological time is the power of the documentary to refute propaganda and deal with the true tragedies of history. Prisoner of Her Past is such a work... Be brave enough to sit for an hour. You will never forget it. "One of the remaining wonders of our technological time is the power of the documentary to refute propaganda and deal with the true tragedies of history. "Prisoner of Her Past" is such a work... Be brave enough to sit for an hour. You will never forget it." "An absolutely fascinating journey of discovery that’s both heart warming and heart wrenching at the same time." "A searing hour-long documentary... one of the most emotionally wrenching yet rewarding films I have recently seen." "Something special is happening in that project -- it is powerful, has its roots in the Holocaust, yes, but also says something about all of our relationships with our parents." "The best films are always about storytelling and this documentary absolutely excels at storytelling. Beautifully crafted and tightly edited. This film deserves a very wide audience." "This is difficult material, so kudos to Kartemquin Films for chronicling the Reich family’s journey with an unflinching eye." A "poignant film... Decades later, a son tries to find out how his mother survived the Holocaust. 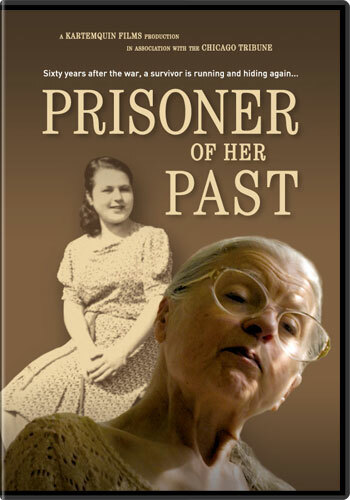 He fails, but "Prisoner of Her Past" succeeds as a documentary about his attempt." An "astounding story... strangely fascinating." "Howard Reich shares his mother's story, or at least as much as he can reconstruct, with a reporter's cool focus on getting the details, but under his journalistic calm there's a story of terror and heartbreak and rage. ... This doc succeeds in large part because it makes the story personal." "Dry-eyed but deeply moving... Riveting stuff." "A brave work of personal discovery that explores a scandalously under-reported phenomenon... Prisoner of Her Past is a moving portrait of a son trying to understand his mother, and a reminder that the severity of a psychological scar is determined by the wound's initial treatment."